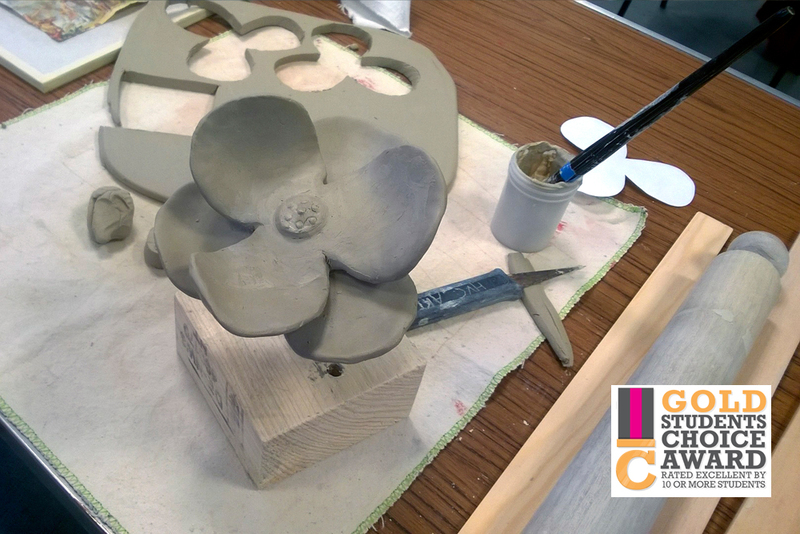 A short one-day clay modelling course in which students will make a small selection of ceramic flowers. 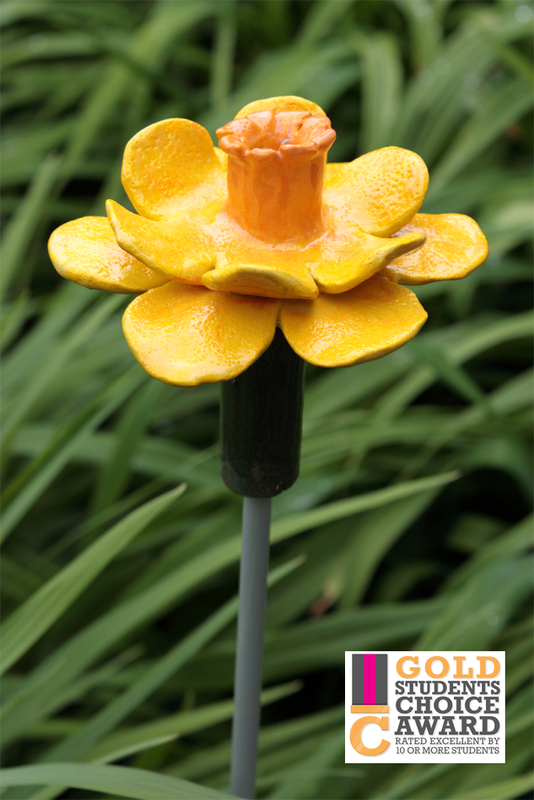 The flowers are designed to fit onto bamboo cane or can be permanently fixed onto metal rods so that they can be placed out in the garden and provide all year-round colour! 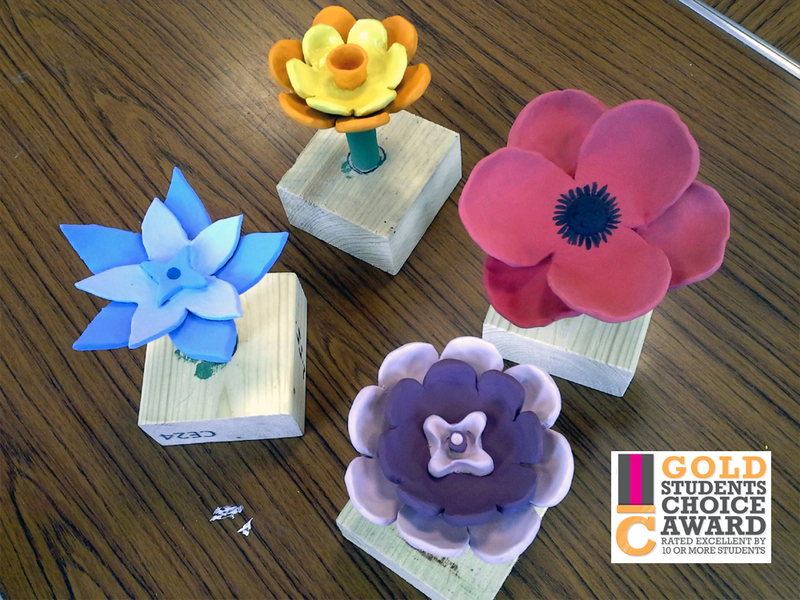 Students will decorate the flowers with underglazes and use the sgraffito technique to add details to their finished models. All the finished flowers will be glazed and fired for you and will be available for you to pick up at a later date. The workshop will run from 10:00am until 3:00pm with a break for lunch. There will be places for up to 6 students at £60 each which covers all materials and firing costs. Please be aware that full payment is required to guarantee your place on the course. 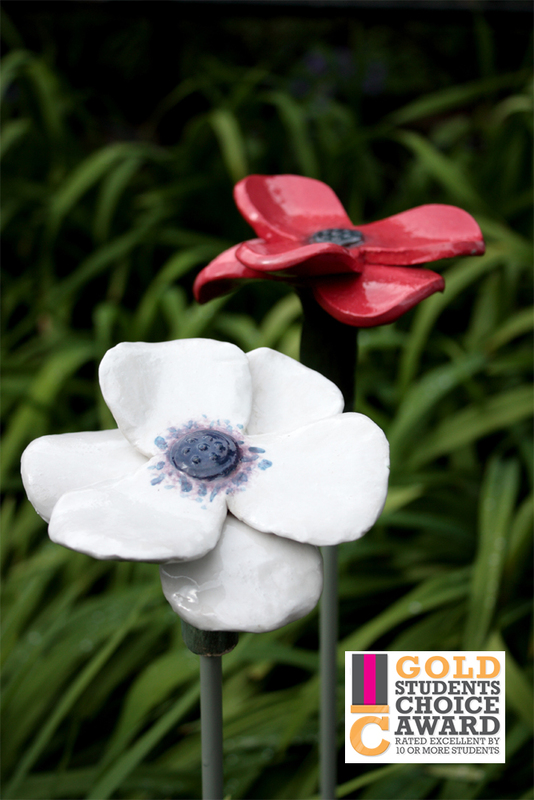 There are optional painted metal rods which can be purchased for a small fee when you come to collect your flowers.